This time we’ll have two booths next to eachother, one with a solopresentation of Alexandra Roozen. You can find us in booth 32. 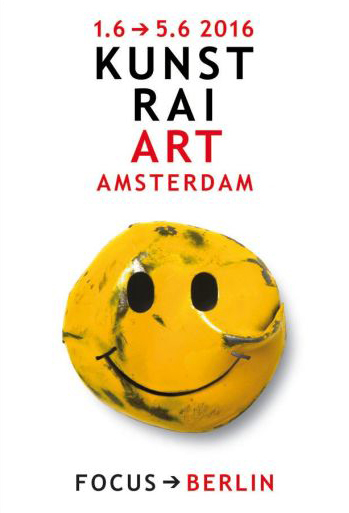 KunstRAI is the longest running art fair for modern and contemporary art in the Netherlands: A fair with 70 high class galleries who reflect the diversity, quality and pluralism of the historic rich offer of Dutch art and design. The visitor finds here autonomous painting and sculpture, photography and graphic art and also contemporary glass, ceramics and jewelry. Traditionally a selection of young galleries has the opportunity to present themselves in a number of RAW EDGE stands, where they take care of the surprise element with the work of emerging artists.